By Naomi Fowler – Tax Justice Network: The European Competition Commissioner Margrethe Vestager has announced she is now going to investigate what we hope is the first of many secret tax deals arranged between accountancy firm PwC and the Luxembourg tax authorities. We asked recently along with Simon Bowers of the International Consortium of Investigative Journalists and John Christensen why the European Competition Commissioner, still hadn’t investigated any of the of the 546 secret tax deals exposed by the LuxLeaks whistleblowers. This, despite having launched so many other investigations into potential illegal state aid being offered to multinationals by EU member states. Simon Bowers wrote about it here and we raised the issue here. 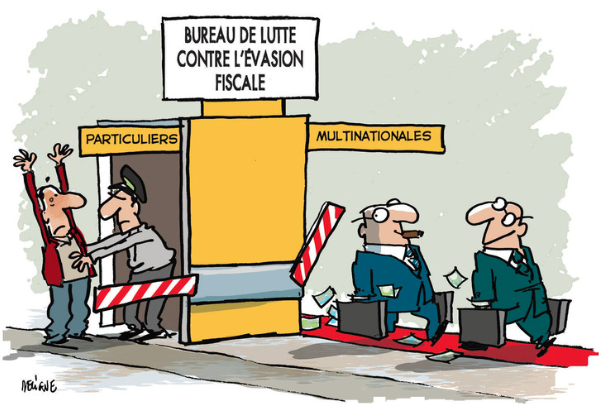 The Luxleaks cases exposed the Luxembourg tax authorities for granting outrageously low tax rates to multi-national companies. We speculated as to whether the apparent reluctance to investigate Luxembourg’s potential role in breaking European Competition rules might be because the Competition Commissioner’s boss, the EU Commission President Jean Claude Juncker was formerly Prime Minister of Luxembourg and one of the main architects of Luxembourg’s tax haven model.